When we look for the cosmetics we need, we tend to fall into the error of not knowing in depth the needs of our skin. Occasionally, we may be using cosmetics not recommended for us, causing changes in the face that we do not appreciate a priori but can be visible in the long term. From Lesielle, we give facial care the importance it deserves thanks to custom skin care. We adopt the product to the needs of each skin type. The main thing to get a real improvement in appearance is to know what our skin type is. And what better source of information than our own skin? Our face gives us the necessary keys to recognize it easily. So we will pay special attention to its texture, appearance or sensation to know if we are facing dry, normal, mixed, oily or sensitive skin. In general, in young people, we usually find a greater tendency to mixed or oily skins, with dry skin becoming more frequent with age. However, this is not always the case, as each skin is unique. In connection with this, we give you a series of tips to help you identify them. Dry skin distinguishes itself by being tight, rough and more prone to flaking skin, with redness and irritation. Therefore, you need extra care for moisture and protection because external agents such as temperature, humidity or rubbing against clothing can cause skin alterations more easily. Oily skin, on the other hand, differs by being brighter and more elastic, having dilated pores and an "oily" touch. In most cases, you have signs of acne such as pimples or blackheads and extra sebum. This type of skin is more difficult to treat and what is usually sought is to fight against excess shine. To achieve an improvement in its appearance, a specific and careful daily cleaning is recommended. Mixed skins are characterized by the combination of two types of skins. Oily skin in the known "T-zone" (front, nose, and chin) and normal or dry skin on the rest of the face. This type of skin is complex and requires special care. With proper care, we will prevent the T-zone from becoming too greasy to become oily skin, a situation that can be caused by the use of cosmetics not suitable for mixed skins. Normal skin is the most wanted by everyone, although it is also the least frequent. It is a soft or velvety skin, which stands out for having a natural shine that does not bother or is oily to the touch. Its tone is uniform and the pores are small. 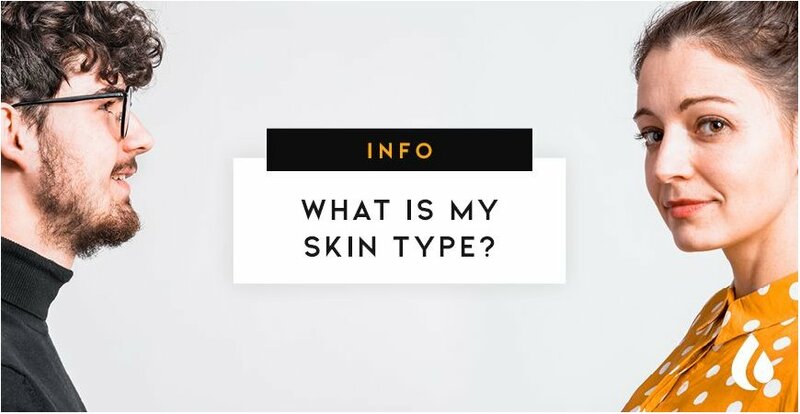 Although this skin type does not appear to present any alteration or problem, we must take care of it and treat it specifically to avoid skin complications caused by external agents. The last type is sensitive skin. This is a clear and thin skin that tends to have redness, flaking, dryness, tightness, intolerance to certain products. It also reacts easily to external agents such as temperature, humidity, and some products, and can sometimes be inflamed. This type of skin needs to be cared for with products that do not wear perfume to avoid irritations, in addition to the need for moisturizers with soothing active ingredients and high sun protection. Now that you know the differences of each skin type, you will be able to choose the cosmetics that best suits your needs, promoting an improvement of your skin.